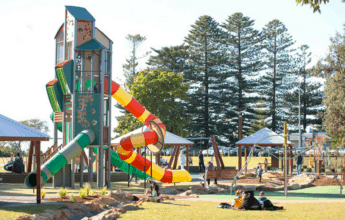 Centrally located just near the Inner West’s famous Bay Run, Livvi’s Place Five Dock was built for children with all forms of disability and from all parts of Sydney. 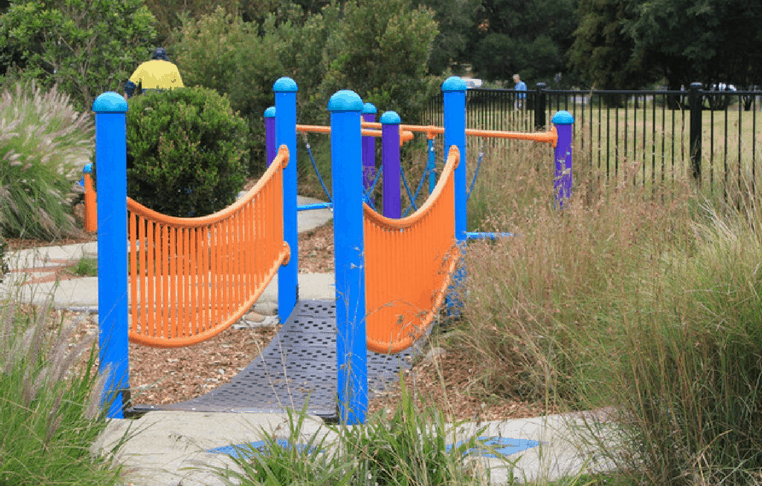 The playground’s unique design and equipment addresses the needs of children with various forms of disability including mobility, vision and hearing impairment as well as spectrum disorders such as autism. 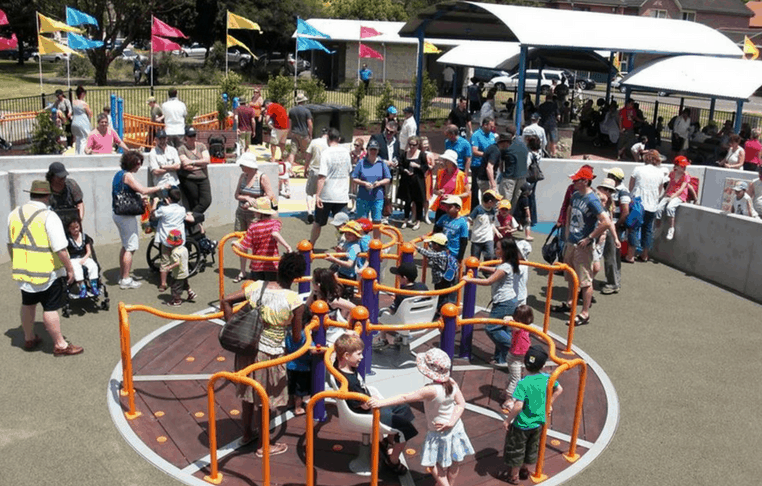 There’s lots going on when you walk into this playground and it can be overwhelming for an over-excited toddler who doesn’t know what to do first! 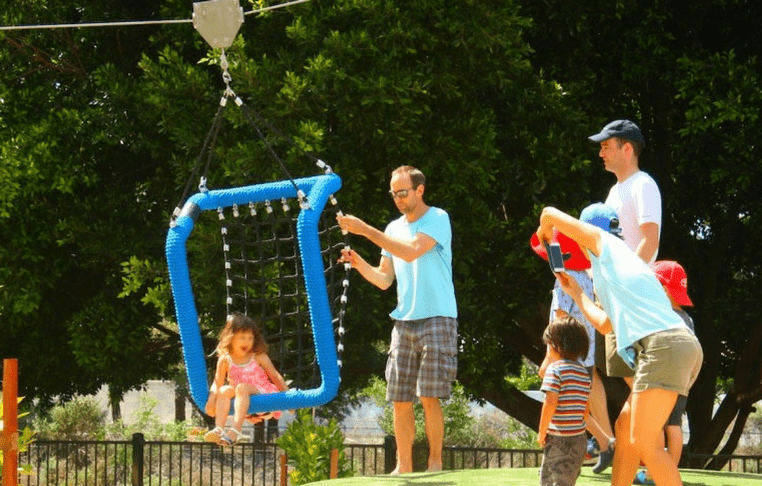 The biggest crowd-pleaser though has to be the flying fox which has kids and their parents lining up in anticipation. It looks like a chair lift you’d see at the snow and goes for miles (well, metres but it feels like miles) and the kids are nuts for it! Next to the flying fox is what I would call a toddler park with swings, a small slippery slide and what looks like a mini spinning tea-cup. Back in the centre of the park you have your slides (with ramps, not stairs) and a ropes course for little Spidermen and Spidergirls. Livvi’s Place Five Dock is part of an initiative of the Touched by Olivia Foundation. 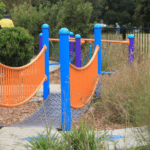 Initially designed in consultation with leading academics, play, disability, and landscape experts and the local community, Livvi’s Place parks aim to dramatically reduce the barriers experienced by children with special needs and their families, helping to give them a level playing field for life. 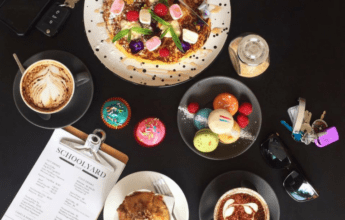 Livvi’s Place Five Dock is just one of many Livvi’s Place locations popping up all over Australia including Ryde, Wagga, and Brisbane with Livvi’s Place Wagga featured on our Best of August list here! 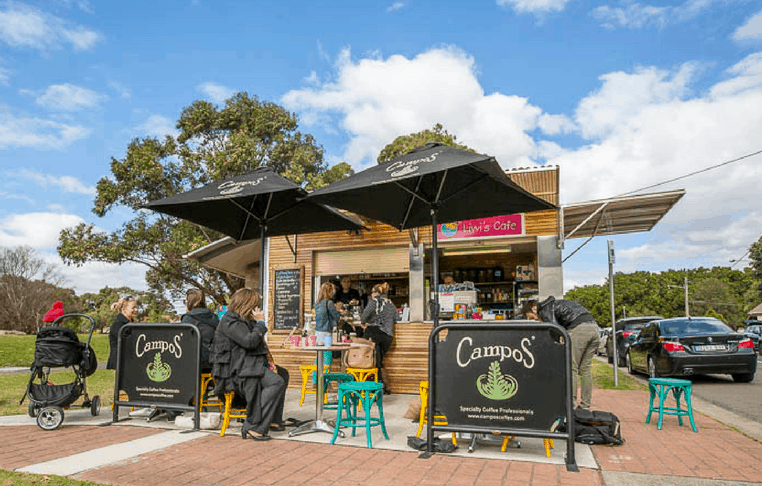 Livvi’s Cafe is a pop up cafe in the grounds of Timbrell Park supporting the Touched by Olivia Foundation. 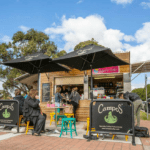 The first of the Foundations social enterprises, the cafe serves great Campos Coffee and a selection of panini, pastries, milkshakes, sandwiches, wraps, arancini and ice creams. 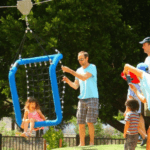 Located outside the fully fenced Livvi’s Place playground makes for a fun, relaxing and cheap family outing whilst enjoying a coffee and supporting the cause. 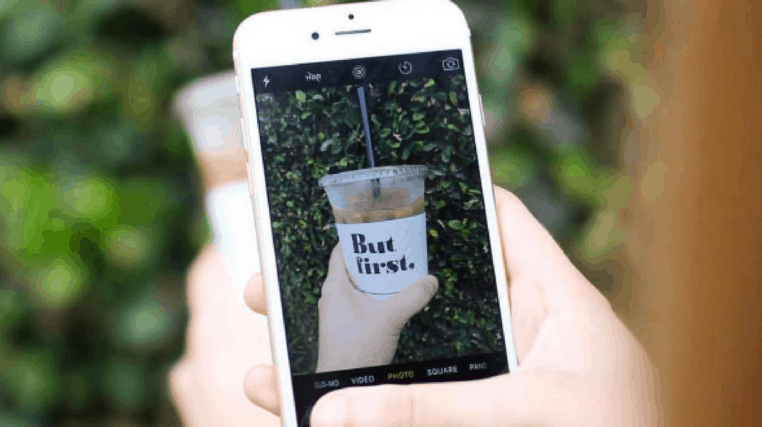 With coffee making you live longer, who can say no? Plenty of Street parking is available. Check out their location here. Livvi’s Place Five Dock is quite close to the the works going on for the Westconnex so it’s nice to hear that the foundation got a little boost lately from the government. There are new road signs and line markings on the bike path to provide kids with a fun and interactive environment to learn about road safety as well as traffic signs and signals to replicate signs seen on roads to help children become familiar with road signs and importantly road safety. 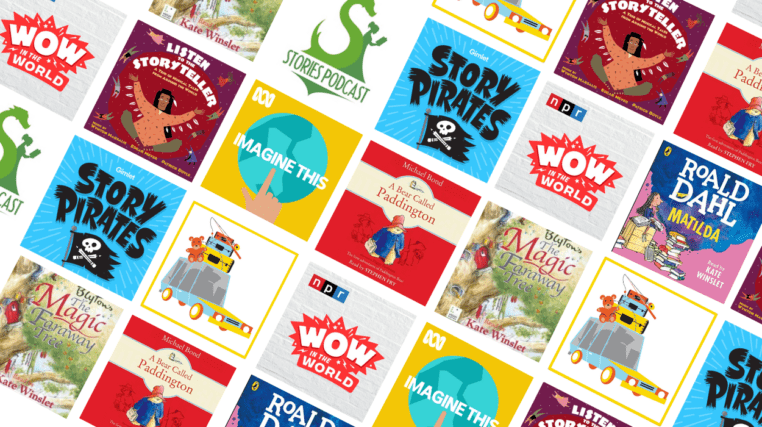 In addition to the road signs, a new reading corner has been built creating a dedicated space for the popular storytime sessions held at the playground at 10am each Monday and Thursday during school term. Grab a coffee at the kiosk while you are there with 20 cents from every coffee going back to Touched By Olivia. The Amazing Emily runs Story time every Mondays at 10am during school term. 2 Comments on "Livvi’s Place Five Dock"
One of the best parks and play areas I have ever been to. Everything has been thought of. 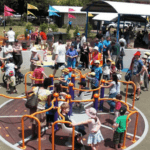 Safe and secure and fenced off area with BBQ facilities and undercover tables (great place for a kids party), plenty of play equipment and lots of shade. 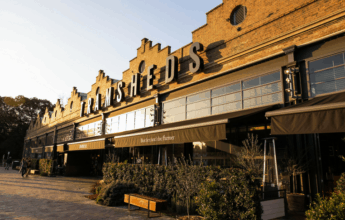 While you are there, parents can grab a coffee and some food at the connecting Livvi’s Place Cafe with the feel good factor of supporting the foundation while you are at it.